During the GRA Graduation Show 2015, the thesis “On recordings (…)” was displayed in the Graphic Design Department reading room as an audio piece. The different parts of the thesis have been recorded as separate mp3 files and reassembled together as a playlist. 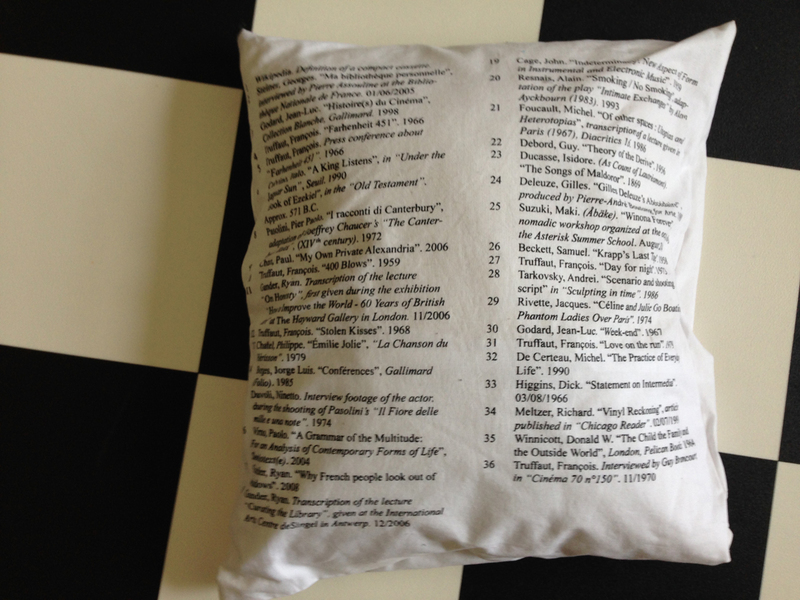 The text written by Émilie Ferrat is read by her, while her references are read by Ben Clark. 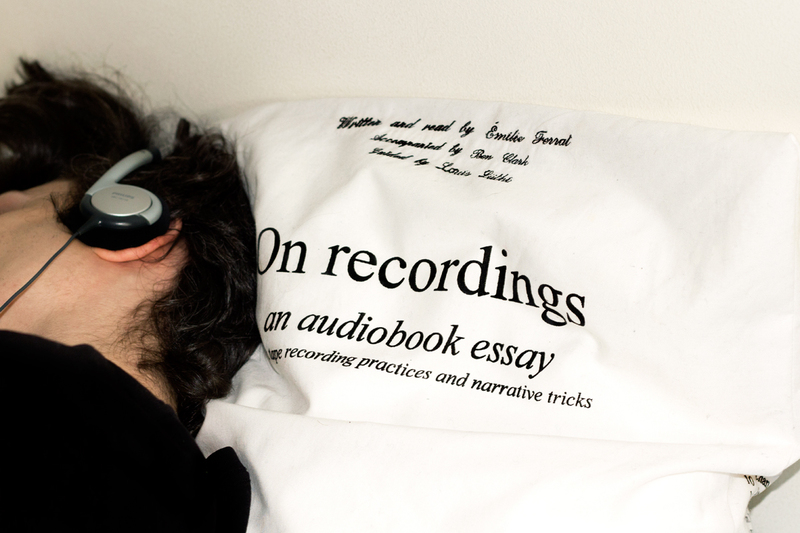 The mp3 files were being played from an iPod, hidden in a white silkscreen pillow, displaying the title of the thesis and its references, which were printed at the back of it. An extract of the first part, is available here. [audio:http://designblog.rietveldacademie.nl/wp-content/uploads/2016/01/Hi-Mary_Celina-Yavelow.mp3|titles=perfect fifth] For any inquiries regarding the project, please contact: emilieferrat@gmail.com.